Zygostates alleniana #2837 ('0713' x '0718') (approximately 25 seedlings per flask). 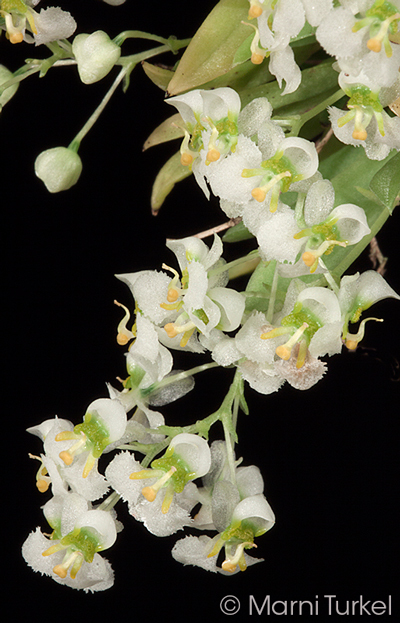 The Species: This rewarding miniature grows in southern Brazil, northern Argentina, Parguay and possibly Peru. 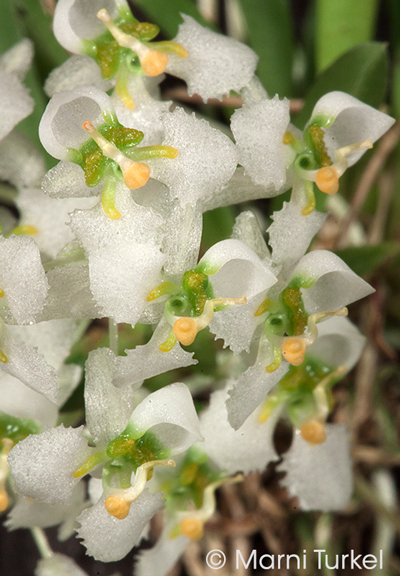 The plant is a little over 1" tall and covers itself with flowers that are 1/5" wide with up to 10 per inflorescence. 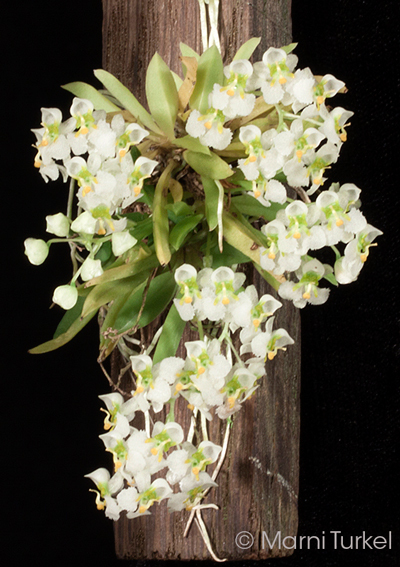 The inflorescence is about 2" long so the flowers are held above the foliage making this a great specimen plant. The parents of this cross are from Argentina. Culture: I grow this mounted on cork or hardwood. I water it year round with dilute fertilizer and let it just dry between waterings. It has done well in moderate light in intermediate temperatures.